Commercial Window Treatments | Springs Window Fashions | Solar Control - Window Products Management Inc. 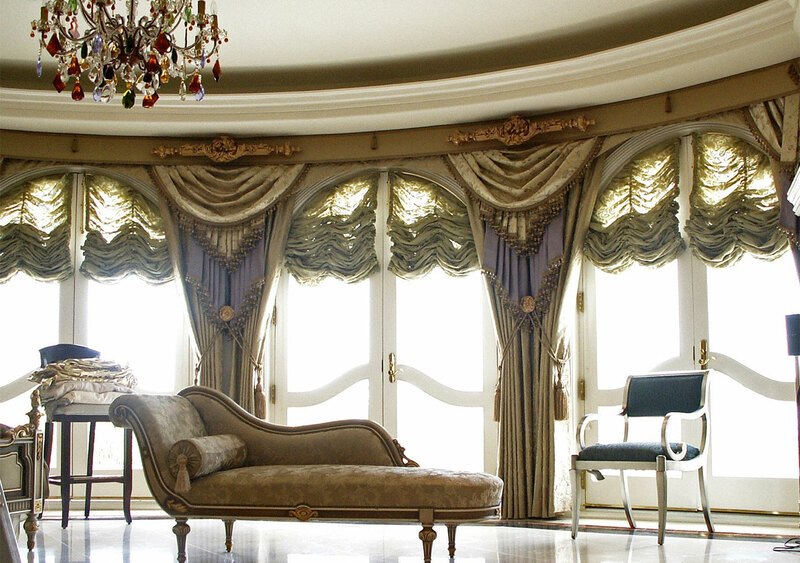 This multi-layered, custom application was designed in response to our clients request for a “Baroque-Classical” style window dressing that could provide solar control, privacy, and blackout features. 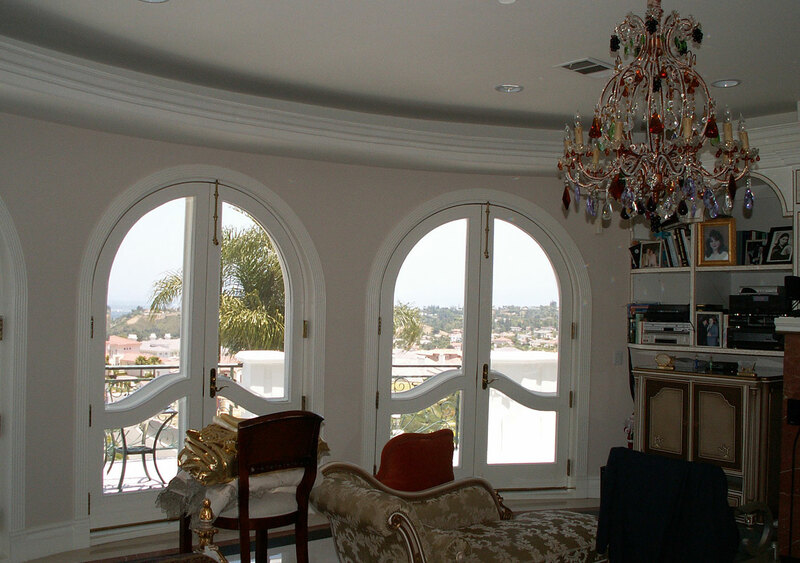 The treatments on the arched French doors are Austrian shades made of silk sheer and are mounted in such a way as to look like a part of the wall-mounted drapery. 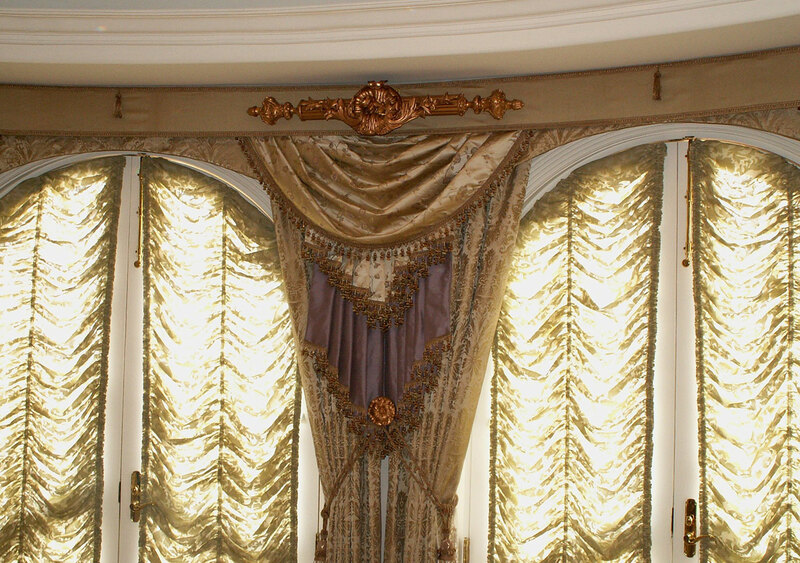 The Lambrequin Valance is designed so that it covers the wall space and combined with the swags and cascades made of various contrasting silks, totaling eight layers of drapery. The biggest challenge in designing and installing this unique solar control application was the limited space surrounding the French doors. The before and after pictures provided demonstrate the dramatic enhancement achieved by WPM designers Evelyne Saul and Larry Mesa that have been featured in several publications.